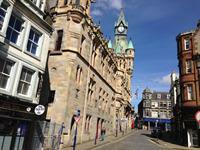 Dunfermline is home to some of Fife & Scotland's finest Historical Attractions and Tourist Venues. Dunfermline's perfect location offers you the ideal base to discover the magnificent Kingdom of Fife, as well as Edinburgh, Stirling and the Trosachs. Dunfermline also has 4 Spas, 2 Bowling Alleys and 4 Golf Courses, plus we are within easy driving distance of, St. Andrew’s for any keen Golf enthusiast and Knockhill Racing Circuit for the keen motor sport enthusiast, and within a short distance the Scottish Vintage Bus Museum, The Scottish National Water Ski Centre and Craigluscar Activities which offers a great day out, offering Quad bikes, clay pigeon shooting, tractor driving and hover craft driving. 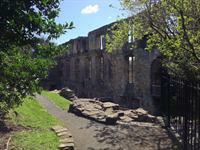 Dunfermline Palace is a former Scottish royal palace in Dunfermline, Fife. The Palace of Dunfermline stood next to Dunfermline Abbey. 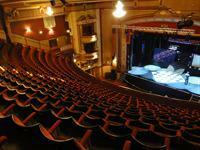 Alhambra Theatre offers a range of Musicals: Ballet, Opera, Comedy, Concerts and Theatre. 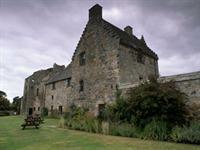 The 13th century fortified residence of Aberdour was extended by the Douglases in the 15th, 16th and 17th centuries. It boasts a delightful walled garden and terraces with beehive-shaped dovecot. Pittencrieff House was built around 1635 as a private residence. In fact it was a home for nearly 300 years until Andrew Carnegie bought the grounds in 1903.Now it houses a fully accessible exhibition called "Magic of the Glen" on the ground floor. Come and find out how the Park came to be - it's a story involving fossils and furry creatures covering 350 million years.